The LEJ-640 offers both flatbed and roll-fed printing in a single device. Printing CMYK, White and Clear Coat inks on virtually any substrate up to a half-inch thick, the LEJ is capable of producing a massive range of large-format graphics. Versatility is what sets the LEJ-640 UV inkjet apart. With its combined roll-fed and rigid sheet capabilities, it allows users to print on a vast array of sign, display, décor and art materials, such as foam board, banner film, fabric, corrugated cardboard vinyl, artist canvas, SBS board, synthetic papers and more! 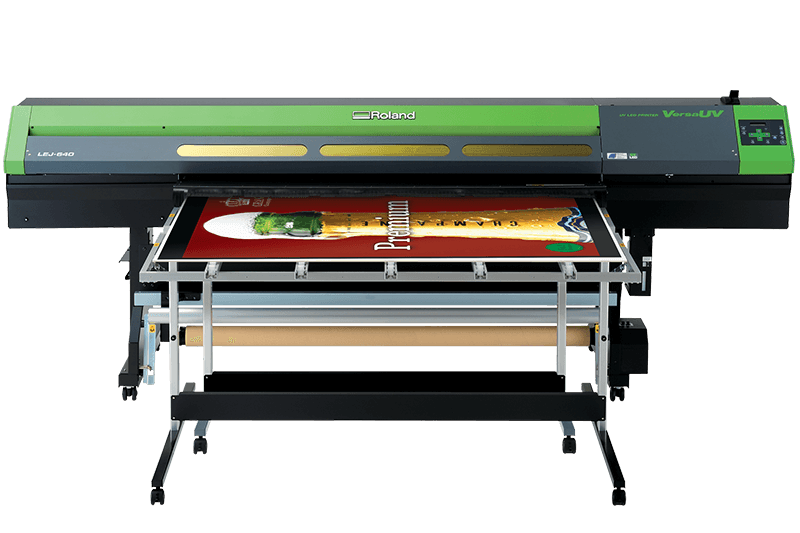 High speed mode: delivers a maximum print speed of 133 sqft/hr, producing 1440 x 1440 dpi prints with smooth gradations and super fine details.